The hallmark of the 1920s was the post-war economic boom. Some dramatic cultural changes sparked upbeat and vibrant lifestyles; however, when most people think of that decade, they imagine the 1920s Great Gatsby suit. 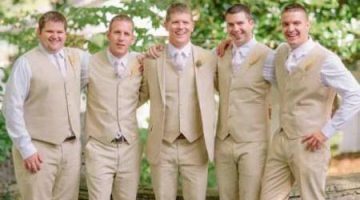 Although it has been a long time since its inception, the Great Gatsby suit still has a strong influence on men’s formal fashions today. Tradition set the 1920s Great Gatsby suit apart from all other suits. The fabric, cut and style all combined to give the suit its signature look. 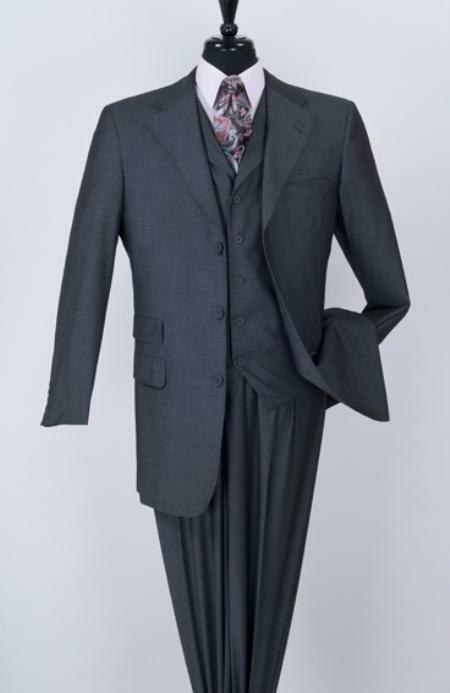 Heavy Fabrics: The heavy fabrics and the cut made the Great Gatsby suit, “office war worthy.” Most noteworthy, the original Gatsby suits were a heavyweight version of today’s version, with thick wool tweed coats and flannel pants. A Looser Fit: The fit was looser and boxier than the snug-fitting suits in the first decade of the 20th century. The current trend reflects the slimmer fit of the early 20s. Many Gatsby suits had two sets of flap pockets. Big Colors and Patterns: The colors didn’t change much from the previous decade. Brown, blue, green and gray suits were still in vogue. Patterns were a solid tone, but big plaids, checks, and thick stripes gave the Gatsby look a Godfather feel. Buttons and Lapels: The suit jackets in the roaring 20s were single or double breasted. There were three or four buttons up the front of the jacket. The top button was high, hitting the center of the heart. The buttons were stylish, but it was the notched lapels that put the Great Gatsby suit in a whole new category. 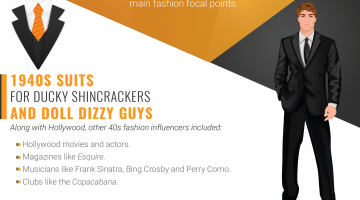 Trendy Trousers: Great Gatsby suit trousers have traditionally matched the suit jacket. Suit pants had two single pleats at the top front. They also had a sharp crease down the front of the legs. The pant pockets had slits on the sides. There was one pocket in the back with a one button closure. The modern version of the Gatsby suit has flat front pants. Classic Cuffs and Socks: Some pants reached the mid-ankle, but other pants had thick cuffs at the bottom. The plain, striped or argyle socks usually hit the calf, and sock garters kept them up. Pant legs were narrow in the first half of the decade. That was the jazz look, but pants became wider as the decade ended. Wide-legged pants were extreme on college campuses, and “Oxford Bags” could be as wide as 16 inches. Cool Vests: The vest was important in the roaring 20s. Even men’s formal wear included a vest. A vest was a must-have, because the Gatsby suit jacket was hot. Therefore, a cooler vest maintained the classic dressy look of the times. The casual alternative to the vest was a contrasting wool pullover vest. The smooth knit and cable knit vest kept men warm during the cold months. Snazzy Shirts: The shirt underneath the vest of the Gatsby suit was where the fashion industry had their fun. Shirts were colorful. 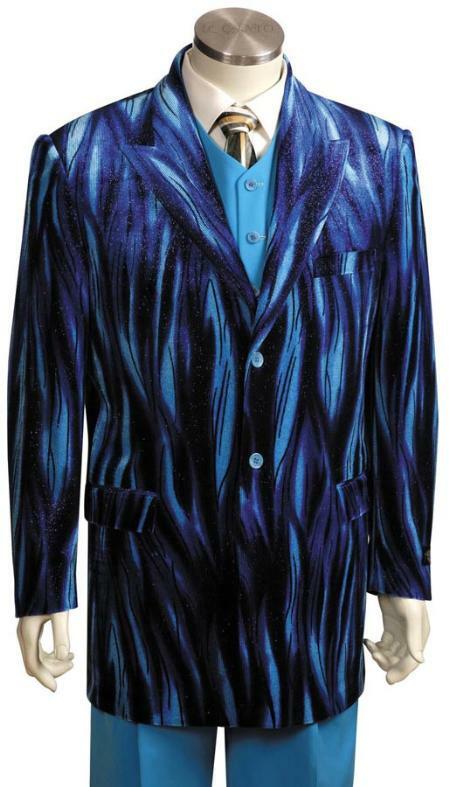 In addition, the vertical stripes and patterns gave the Great Gatsby suit character and social status. French cuffs with snazzy gold cuff links gave men social status and a touch of sophistication. Solid colored shirts with pointed, round and button down collars became popular in the late 20s, and are still popular today. The Gatsby look took a turn in another direction when men decided to wear a shirt with no collar. The collarless look is an interesting fashion statement that continues to be a stylish choice. 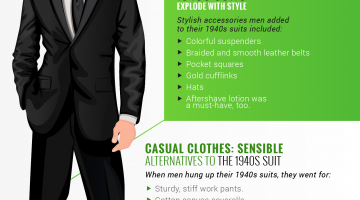 It may be nearly a century since the inception of the 1920s Great Gatsby suit, but it remains a fashion staple today. It is a classic suit for every man’s closet. 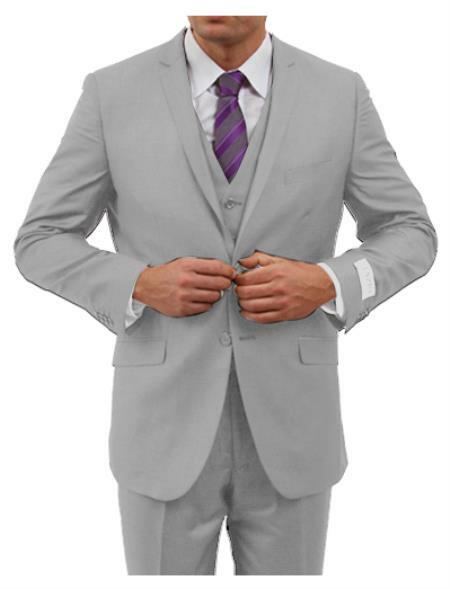 In conclusion, the Gatsby suit can make any man look and feel sophisticated and stylish.